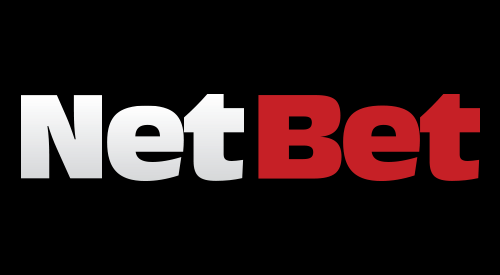 NetBet marked its 15th year of existence in 2016 and in that time has matured into a top-of-the-line gaming destination for players of all stripes. The site caters to users from all walks of life, and that is apparent when observing the impressive level of customization in terms of things like accepted currencies, languages and payment options. When the impressive selection of casino games and markets from a diverse cast of providers is added to that formula, NetBet emerges as a true winner for the customers. Additionally, that level of customization and selection extends to every product of the NetBet family. The casino and live casino work on tablets and mobile phones, using either a mobile browser or an app designed for iOS and Android devices. Players enjoying a punt with NetBet Sports can customize the time-zone game times are presented in as well as the odds format, easily toggling from decimal to fraction to American, depending on your preference. Personal customization is the tool NetBet has relied on to separate from the competition. The operator clearly understands gambling is a world-wide event with the internet affording casinos the opportunity to reach those far-flung gamblers, thus NetBet's concentration on ensuring each player feels right at home regardless of where or how they sign-on. Whether one wants to play traditional casino games, enjoy a live-dealer experience, or gamble on sports, they can be assured of an exceptional experience with NetBet. NetBet is truly a one-stop shop for gaming needs. Navigating between the casino, live casino, and sports betting products is simple, intuitive, and lightning quick. Similarly, each of those offerings features robust options sure to delight all manner of punters. From over 100 of the top slot games on the market to one of the most extensive eSports betting options available anywhere to an arsenal of live-dealer games, it would appear there isn't anything NetBet doesn't offer. Since the casino utilizes games from all manner of top software providers like NetEntertainment and Microgaming, there is even an added layer of diversity in terms of design philosophy. The mobile products rely heavily on the expertise of the iSoftBet team with help from the other providers. As mentioned above, there are well over 100 slot games alone available at NetBet Casino. Video poker games, blackjack, and roulette are all well-represented in a variety of play styles, and can be played under the same virtual roof as things like scratch cards. NetBet Live Casino is just waiting for eager players who love the interaction with a professional dealer, and the sports book carries everything punters would expect and then some. The customization featured all throughout each and every NetBet product is the real draw on the operator. Whether you are taking a punt on an underdog or hitting a record jackpot on the slots, you'll feel right at home with NetBet. Players have what seems like an unlimited amount of control over their online gambling experience, the goal of most topnotch brands.